March 2019 - NEW APPLECHEEKS SWIM WEAR IS IN STOCK!!! We still have hard to find and limited edition AppleCheeks in stock, however stock is limited. Please contact us before placing your order. We are working on getting all items up on the website asap. We appreciate your patience. June 2018 - AppleCheeks MiniMinis, MegaZips, new ruffle swim diapers, new swim print, and shirts are in stock and ready to go. They will be posted on the website soon. Contact us for more details! We are making updates as quickly as we can. If you can't find a specific print/colour please let us know. 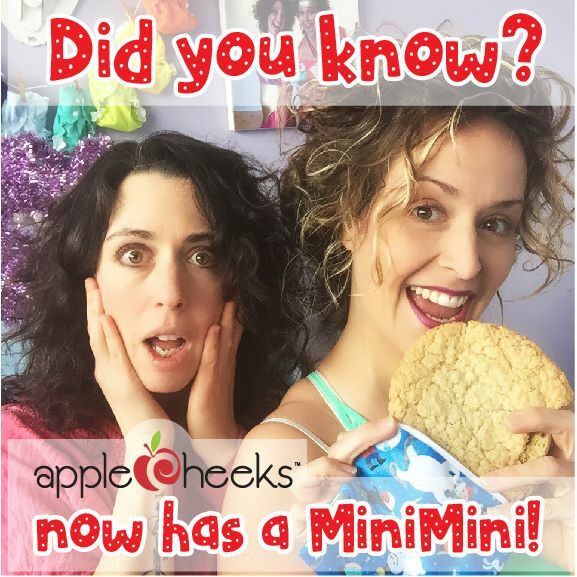 May, 2018 - It's AppleCheeks reveal day!! Yes!! Those ladies are always up to something! Check out our website after the reveal for the NEWEST release! You never know what these ladies are up too! February, 2018 - It's AppleCheeks reveal day!!!! Check out their newest print and other prints from Year Of The Prints. We still have some stock of some of the latest prints that was released last year. Contact us now to place your order! November, 2017 - AppleCheeks new releases are in stock and ready to go! We have a few left of the previous releases as well. These won't last long. We had a great time at the Mamas & Chicks show this month. It was great to see everyone and all their little ones! Website updates are still on going. We are sorry for the inconvenience that this may have caused. Please feel free to contact us to help with your order. Funky Fluff AWJ is now in stock. Newborn and One Size is in stock as well as the clutch. They will be posted on the website soon. Please feel free to email us to place your order. June, 2017 - AppleCheeks Newest Release is due to arrive any time now. Both Canada 150 and IguanaDance will be available in covers, storage sac, mini zips, and swim diapers. They are going fast so please contact us to get on the pre-order list. We appreciate your patience with our website updates. We are updating items (prints, colours, and many products, etc) as quickly as we can. Please contact us for more infomation. 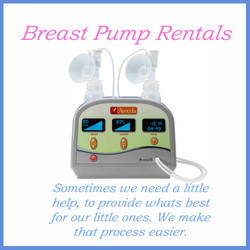 We would be happy to assist you any time. April 6th, 2017 - We are busy getting the NEW APPLECHEEKS REVEAL listed! You don't want to miss it. It is super cute in person and even cuter on little bums!! To stay up to date on the reveal please go to our Facebook page. January 20, 2017 - We have lots of exciting new products coming in and some fun changes over the next little while to our website and Facebook page. Check out our Facebook page (link is at the very top of the page) and join us for lots of fun and excitement. We will be posting some sales and clearance items on our Facebook page while we work on some website updates. We are always here if you have any questions! Please let us know how we can help! July 14, 2016 - AppleCheeks has some exciting news they want to share today. Please stay tuned to our Facebook page for all your updates! April 2nd, 2016 - New Products have hit our shelves! Check out the NEW Infinity Scarves and Baby bibs from Acorn & Leaf HERE. January 7, 2016 - It's a new year and we are excited for what is in store. We have a lot of fun things planned for this year. ​We are always looking for new products to bring in. Fill in our contact us for or email us your suggestions. ​November 1, 2015 - We would like to announce the arrival of MAKE MY BELLY FIT! An amazing Canadian company that has designed a panel that zips into your own coat during pregnancy and baby wearing! Great for the fall, winter, and cool days when you need a jacket. They will be on the website soon. You can also place your order by phone or email. We have lots in stock and ready to go! September 17th, 2015 - We would like to thank each and every one of you who have nominated us for Oshawa Whitby Reader's Choice Awards! Voting takes place from September 17th - 27th. We are in category #137 for Best Baby Supplies. Click on the link below. July 3, 2015 - We are settling in as quickly as we can! If you need anything please don't hesitate to contact us! All our info is on our contact us page! June 30th, 2015 - OUR EXCITING NEWS!!!!!!!!!!! As most of you know the WiggleBums family has started a new chapter in our lives. With a growing family here at home and our growing WiggleBums family we have had to make some changes to help both of our families grow. With both of our families growing we have had to expand our space! Looking for a bigger space was not an easy challenge, however we managed to find the perfect one for both families. Well that perfect space that we found is in Bowmanville! We are approximately 15 minutes East of our old location. Still all the same fun stuff and convenience, only BIGGER! For those who are super close to our old location we are still here for you. We will be in Oshawa at least once if not more during the week and would be happy to make a delivery or meet up with you. For those who are further than Oshawa, again we are still here for you and would be happy to help. Delivery is still available and you are always welcome to pick up if you are in our area. We will be completing this transition over the next two weeks. We are still here for you and would be happy to help anytime. We are still open and would be happy to arrange pick up or delivery. Shipping is always an option, too. Please contact us for shipping details and of course please let us know how we can help you! We appreciate your patience during this time. We of course are still returning calls, emails, and messages as fast as we can and will get back to you as soon as possible. Please check out our contact page for our updated information. And as always we would like to take this opportunity to send a big THANK YOU to both families for all your love and support! WiggleBums is Durham's Premier cloth diaper retailer. We are always on the lookout for great products for all your cloth diapering needs. We serve durham region, the GTA, Kawarthas and more! What you would wish for yourself, that is what you should do for your children. The next generation is at risk of environmental issues larger then any ever seen before. We provide our customers with a way to protect the environment now and provide a better life for their children.